Our mission is defined by the Great Commission of Jesus Christ in Matthew 28:18-20, which commits us to person-winning (evangelism and discipleship), family winning (church planting and Christian education), culture winning (world and national evangelization), and Christian reconstruction, making the world's nations Christ's disciples. We strive to be faithful to the Creation Mandate of Genesis 1:28 and the Great Commission of Matthew 28:18-20, which together comprise a unified directive to the church. Our God-given purpose is, by God's Word and Spirit, to renew every idea, activity, relationship, and institution of human existence, beginning with the heart. Our motivation is Christ's Person. Our basis is Christ's work. Our power is Christ's Spirit. Our pattern is Christ's humanity. Our protection is Christ's deity. Our strategy is Christ's Word. Our hope is Christ's victory. Our mandate is Christ's law. Our food is Christ's sacraments. Our aim is Christ's glory. The focus of our church's life, fellowship, worship, work, and mission is GOD IN CHRIST, who is "the Savior of the world" and "the King of kings, and Lord of lords." We strive, with the help of the Holy Spirit, not to be doctrine-centered, law-centered, church-centered, or man-centered; rather, we strive to be Trinity-centered in all we are and do, because "of Him, through Him, and to Him are all things. To Him be the glory forever." Chalcedon Presbyterian Church holds to the original Westminster Confession of Faith and Catechisms without hesitation or embarrassment. We believe that this confession and its catechisms contain the system of revealed truth taught in the Bible. We embrace the command of God to defend, expound, and apply that system of truth. We believe that God has promised His church a glorious future in Jesus Christ. We look forward to the future, knowing that, with all its struggles and victories, it belongs to the faithful people of God (1 Corinthians 3:21-22). We are future-oriented in our present responsibilities and ministries. Our vision for life and the future is determined by the promises of God's covenant and of Christ's kingdom. We pray that God will use us to spread the covenantal blessings of salvation throughout the world (Ps. 227-28; Gal. 2:7-29). We believe that the kingdom of Christ and the preaching of that kingdom will leaven the whole loaf of human life and society as it advances toward total victory (Mark 4:21-32). We work, pray, and hope for the day when the earth will be full of the knowledge of the LORD as the waters cover the sea (Isaiah 11:9). Tim Price is the Teaching Elder of Chalcedon Presbyterian Church. He received his Bachelor’s degree in history from Christ College. He has written an elementary/middle-school history curriculum titled Once in the End of the World: World History from Creation to the Reformation. He was a ruling elder at Covenant Presbyterian Church for 11 years prior to coming on staff at Chalcedon as a counselor in 2012. 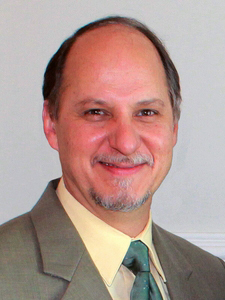 Tim was ordained as a minister in the Reformed Presbyterian Church in the United States (RPCUS) in 2013. He and his wife Robin have two grown sons, John and Cliff. Chalcedon believes that Christ, the Head of the church, has appointed a government in the hands of church officers for the edification of His church and the perfecting of the saints. Chalcedon is shepherded by elders elected by the congregation to represent Christ and to administer His Word. The Session currently consists of three ruling elders and one teaching elder. Chalcedon's deacons oversee the health, education, and welfare ministries of the church. They work to implement the compassionate heart of the church in the lives of those in need. Chalcedon's current Diaconate consists of two deacons.